Cairo International Airport received on Friday the first batch of penguins in Egypt’s history, which will be transported to the ‘Ski Egypt’ resort at the Mall of Egypt, revealed the General Manager of the Department of the Veterinary Containment Ward at Cairo airport, Safwat Mubarak. In a press statement released on Thursday, Mubarak stated that the batch consists of approximately 20 penguins transported from China. He said that this is the first time Egypt will ever receive penguins, due to the lack of compatibility between penguins – which tend to live in icy countries – and Egypt, with its heated climate. The Mall of Egypt, which is located in the 6th of October district in Cairo, belongs to Futaim Group and is considered one of the largest malls in Africa and the Middle Eastern region. It hosts Ski Egypt – Egypt’s first ski rink. While there are a few ice skating rinks in Egypt, Ski Egypt marked the first time a full ski resort opened in the country. The resort includes a ski area, slides, and a host of other snow activities. 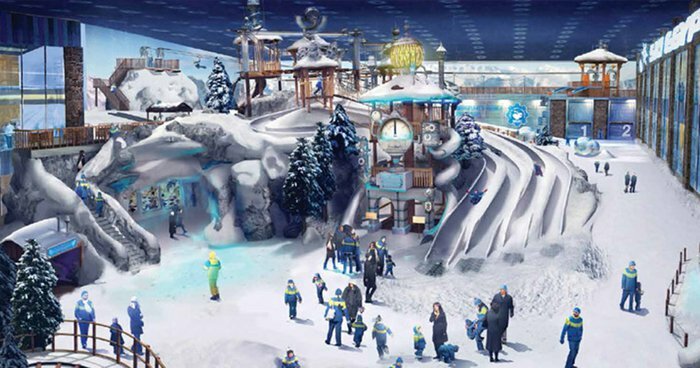 Since the opening of Ski Egypt, a lot of buzz generated on social media circulating that the resort houses penguins. This was later corrected, with sources revealing that while the resort does not house penguins at the moment, it soon will. The mall opened its doors for the first time in March 2017. Since then it has opened several stores over several phases. Upon completion, it is expected to be one of the major malls in Egypt, competing against Mall of Arabia and Cairo Festival City Mall.